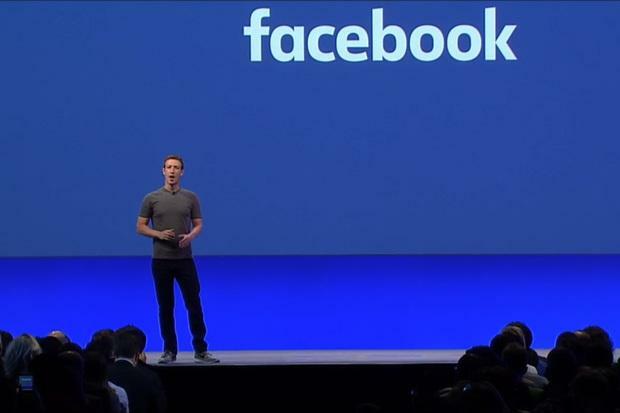 The two technologies will be announced on Wednesday at the F8 conference in San Francisco. Facebook plans to unveil two projects on Wednesday that promise to improve Internet connectivity for users in cities and urban areas. The two, called Aries and Terragraph, will be detailed at its F8 conference in San Francisco, CEO Mark Zuckerberg said on Tuesday. Together, they represent an extension of Facebook's connectivity efforts that so far have been most closely identified with Aquila, a high-flying drone designed by the company to beam down an Internet signal to remote areas. Getting people online and keeping them connected is key to Facebook's expansion plans. After all, it won't be able to persuade new users to come to its services if the Internet connection isn't reliable. "Tomorrow, you’re going to hear about two powerful new systems we’ve built to improve connectivity on the ground in urban and rural areas," Zuckerberg said during a keynote speech to developers. As he spoke, photographs of the two hardware projects were displayed on a screen. Images of Facebook's Aries and Terragraph systems. In previewing the announcement, Zuckerberg didn't give anything away, but both appear to be pieces of wireless networking gear. Aries appears to have multiple antennas that could be used to more accurately serve signals to particular areas or create small cells to improve the use of wireless bandwidth. Terragraph appears to have four antennas, each casting a wide beam around a central mast. Zuckerberg estimated around a billion people are currently not on the Internet because they live in areas with poor or no connectivity. A further billion are in areas with coverage but cannot afford to get online, he said. For those people, Facebook is hoping lower costs will come from a project it has launched to develop open-source networking equipment for telecommunications carriers. It hopes the gear will be cheaper than traditional cellular equipment and thus lead to cost reductions for operators and lower charges for users. The company is trying to entice an additional 2 billion users who have connectivity, can afford the costs, but don't see the point of a data plan, Zuckerberg said. For those people, the company has been offering Free Basics, a set of core Internet services that users can access at no cost. The service was propelled to fame when the Indian government effectively banned it in favor of net neutrality, but the service has 25 million users in 37 countries, Zuckerberg said on Tuesday. In some countries, users get free access to the Facebook app as part of a deal the company has with local carriers. 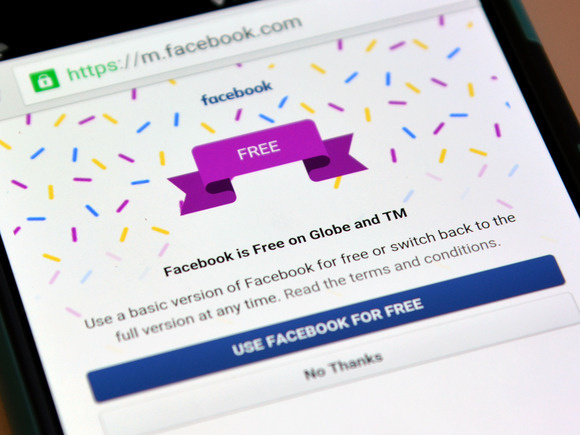 A Facebook screen informs users of the Globe and Touch Mobile networks in the Philippines that a basic version of the service can be used free of data charges.